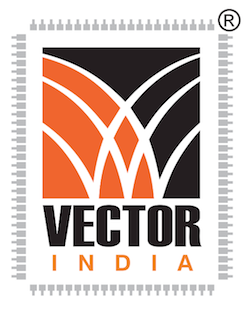 VECTOR Institute has emerged as the pioneer training centre for Embedded and VLSI systems education in Hyderabad, India. We have the distinction of being the first ISO 9001:2008 certified Embedded and VLSI Training Institute in India. We conduct an all-India Entrance Examination for admission into our world-class Embedded Systems courses. VECTOR Institute is different to other Embedded Institutes, in terms of its real-time and project based curriculum, industry-specific course content, state-of-art infrastructure, and complete Embedded placement guidance. The training we offer in Embedded Programming is highly application oriented. The primary focus at VECTOR Institute is to bridge the gap between industry requirements and students' skill set. This is achieved by following a highly application oriented, participative style of training. So, it is only after understanding the quality and skilled workforce requirements of the industry, that VECTOR Institute designs the course content.